Antigypsyism and antisemitism in Hungary: What we know and what we can do about it? - Faculty of Education and Psychology . :: www.ppk.elte.hu :: NEWS ::. 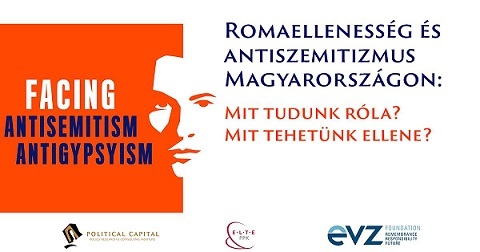 Antigypsyism and antisemitism in Hungary: What we know and what we can do about it? Preliminary registration is required for participation in the event. Please kindly reply to this invitation at konferencia@politicalcapital.hu by January 23, 2018. 15.00-16.00 Should we forget about combating prejudices: what to do about antigypsyism and antisemitism?